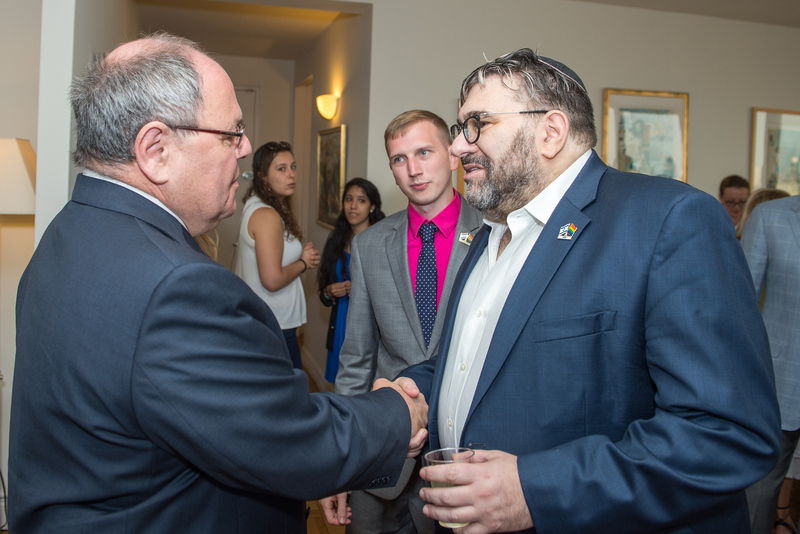 AWB was honored to co-host Pride Reception at the home of Dani Dayan, the Consul General of Israel in New York. 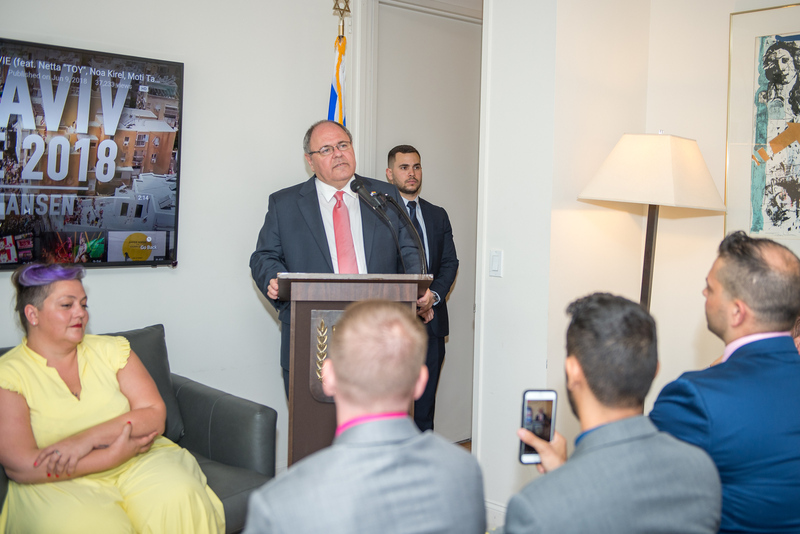 We applaud Consul General Dayan for his strong commitment to LGBTQ rights. A day earlier, he became the first Consul General of Israel to march in NY Pride. Chen Areli, Chair of the Aguda (Israel LGBTQ National Task Force), and Maya Arbel, IGY (Israel Gay Youth), spoke about the important work that their organizations are doing to build equality in Israel. We look forward to this reception becoming an annual event. 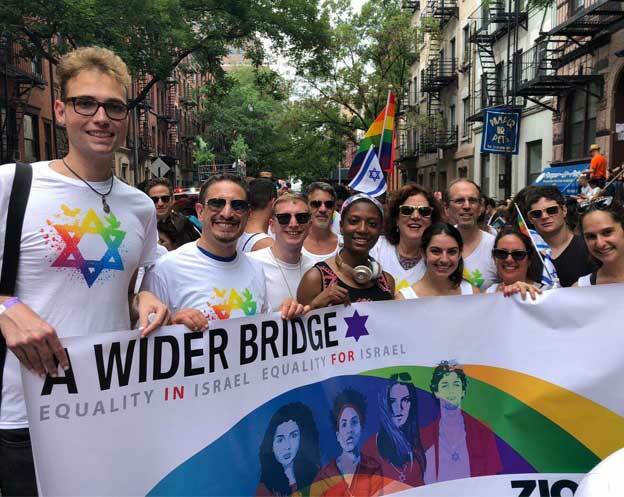 “The Aguda LGBTQ task force is one of the pioneers in field of human rights. We need to ask questions, who writes history? 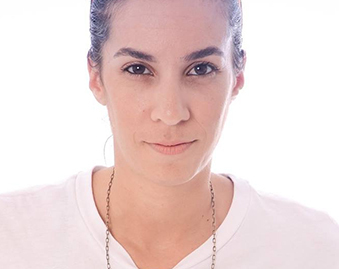 We need to promote gender equality and bring women’s voices to the rooms we stand in.” Chen Arieli, Chair, the Aguda. AWB’s Vice Chair of the Board of Directors Alan Schwartz with Dani Dayan, “I’m proud to be here representing a Wider Bridge and the American and Israeli LGBTQ community here,” Alan Schwartz. Sheridan Bahar, Quentin Hill, Darryl Murphy, Bruce Shenitz, Tanya Walker, Fred Karger, Michael Sonberg. Second Row: Andy Austin, Ian Cohen, Shlomo Ashkinazy.